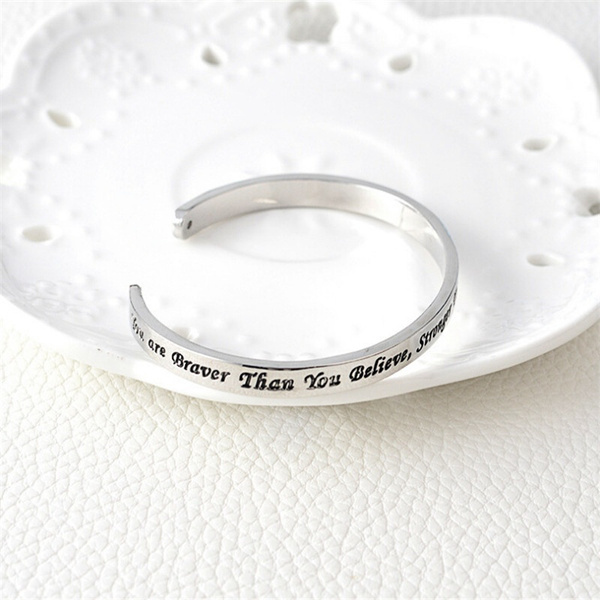 Slender sterling silver cuff bracelet with engraved message "You are braver than you believe Stronger than you seem and Smarter than you think"
Beautiful bracelets. 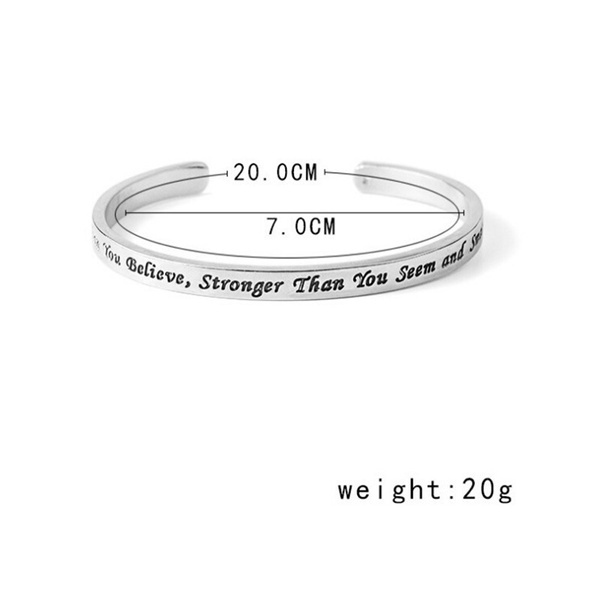 They look nicer than the picture and have some weight to them. They don't appear flimsy. Item says Sterling silver but I don't think it is. Looks nice. Great item, but it's a bit of a hit of miss. I've brought 4 of them, 2 have snapped and turned the arms green, while the other 2 are perfect, no green wrists and haven't snapped.